Our small business consulting services include a wide range of financial and software training or management activities. QuickBooks consulting services include setup, integration, training & support, as well as All Orders, Peachtree and others. We analyze your financial data so you can make more informed business decisions. 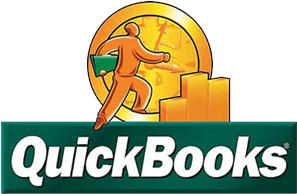 We are QuickBooks ProAdvisors, which means that we are QuickBooks Certified Consultants. Track Every Dollar. Make Better Business Decisions. Most small and midsize businesses don’t know how well they’re doing. They can’t accurately measure profits because they can’t track sales and don’t understand the true cost of doing business. They might have accounting software like QuickBooks, but they don’t know how to make it do what they need it to do. Many businesses just don’t have the in-house resources or knowledge to manage their finances. Let’s face it. The only thing more stressful than managing money is not knowing how to manage money properly. Edison Business Solutions brings clarity to the financial side of your business. We specialize in the manufacturing sector but work with businesses in all industries. We can show you how to use sophisticated accounting software such as QuickBooks to provide insight into how your business is spending money and allocating resources. We can help you determine what parts of your business are making money or losing money, and we can show you why. Once you have a clear picture of your financial data, we provide CFO-level expertise to help you make better business decisions that reduce costs and maximize profits. Our services can be provided on-site, via the cloud, or by remotely logging in to your network. Schedule a consultation with Edison Business Solutions and start taking control of your company’s finances. We offer total packages, hourly fees and ongoing support. Call Edison Business Solutions at 973-669-4641 or email us at info@edisonbusinesssolutions.com for more information. Alyson advertises herself as a QuickBooks expert, but in reality she is much more than that. I was able to see this first hand as she enabled our firm to convert our accounting records to QuickBooks in a seamless manner. She trained our office staff expertly and in addition offered advice to improve some office procedures. She was on time and on budget. We are now able to prepare internal financial statements timely and more efficiently. I have recommended Alyson to my clients who were very impressed and satisfied with her work.